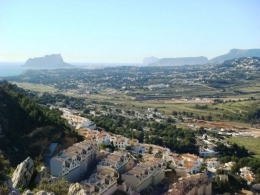 Sea view 298m2 Villa to be constructed in Calpe. To be constructed in Calpe, Costa Blanca. A beautifully designed luxury Villa to be constructed to owners choice. On a two levels with spectacular sea views. The construction, on 2 floors will be, Lounge/dining room with fireplace, kitchen, 3 bedrooms, 3 bathrooms, covered terrace and garage. Outside a lovely 8x4m2 swimming pool with sea views. The property has the benefit of full central heating. 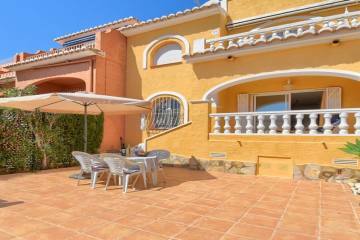 Ideal villa for all year round living or rental investment property.